This is one of my favorite quotes. I recall the day in July 1969 when Apollo 11 landed on the moon and Neil Armstrong called out to Mission Control… “The Eagle Has Landed”. As a college student it was an exciting and memorable event. The landing on the moon was clearly an enormous collaboration of parts and pieces from partnerships among government and non-government participants all focused on the single purpose of getting Apollo 11 safely to the moon and back home. Obviously, on a much much smaller scale than Apollo 11, the single focus and purpose of the “Pathway Project” was to bring two more extraordinary students from the Copey community to our country and to the Emory & Henry College campus. This too involved the collaboration of various partners working together successfully. These partners are found in Copey, the Pacific Northwest, throughout Virginia including the college campus, and supporters from all over including New Orleans, Honolulu, and places like Asheville, Charlotte, and Raleigh, North Carolina to mention just a few. The day following their arrival on campus, an exciting reception was held to officially welcome our guests. The event was hosted by Dr. Celeste Gaia and George Whitley. Many “Friends” attended the reception and expressed their interest and support for the “Pathway Project”. As seen below in their traditional/cultural attire, Fatima and Adriana performed a dance unique to their region and community. We were joined by Melody Lipford, our EH volunteer student who just returned from Copey after nearly 5 weeks of service at the Learning Center. Her mother also attended and confirmed that Melody returned home from Copey a different young lady. Melody is a more confident and determined young student who has been inspired to continue moving along her educational path. The entire reception was an even richer experience for us all as Melody had the opportunity to share the reception with those she worked with over the past month. This first week for the students is designed to be mostly fun, with site-seeing, and various recreational activities. Most of our photos will show these special times over the next several days. You will see photos from their Washington, D.C. site-seeing adventures and their time at Natural Bridge and the underground caverns in Virginia. Since arriving on campus, the official reception has been held and yesterday afternoon time was spent at the famous Hungry Mother State Park and then pizza last night. All this has been done with still bowling, hiking, biking and much more to do before classes start next week on campus for the students. We plan to show you as much as possible all of the experiences accumulating during this and next week. But, what we cannot easily show is the enormous impact this “Pathway Project” has on these students and the impact this will have on other Learning Center students and the community. Their excitement and their enjoyment is clearly evident in every aspect of their day. This helps me understand how much I and others take for granted living in this USA. So happy that all have landed safely and are experiencing these wonderful adventures. How fortunate we all are to be a part of this path for these students and their mentors. Thank you for the updates, Scrapper. Dave and I look forward to many more photos and news. 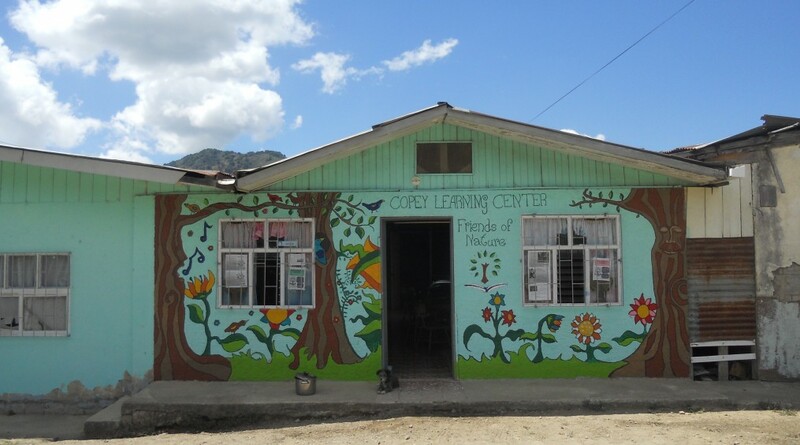 Congratulations on another adventure for the students from Copey. I look forward to more picture and hearing all about their impressions and how the experience changes their lives. It was great to see you while you were visiting.Look forward to seeing you again and continuing my meager support for this endeavor.